As we highlighted eighteen months ago, the manufacture of motor cars has been one of South Africa’s great success stories over the past 25 years. Half of the 600,000 vehicles produced each year are exported, and for anyone living in the UK, Australia or Japan who owns a right-hand drive 3 series BMW it will have been built in Pretoria. With the Western Cape province aspiring to become a leader in the development and export of medical devices, what can we learn from the automotive industry? There’s an engineer in the USA who has a unique perspective: John Sapiente is the president and CEO of two companies, one a medical device manufacturer called Trident and the other a supplier of automotive safety components called Elgin Die Mold. He believes that medical device manufacturers in 2015 are facing the same challenges that the Big Three – General Motors, Ford and Chrysler – faced in the early 1990s when foreign competitors introduced cars that were higher quality, more fuel-efficient and cost less. The American car manufacturers initially removed features to make their vehicles price competitive but that tactic failed dismally. 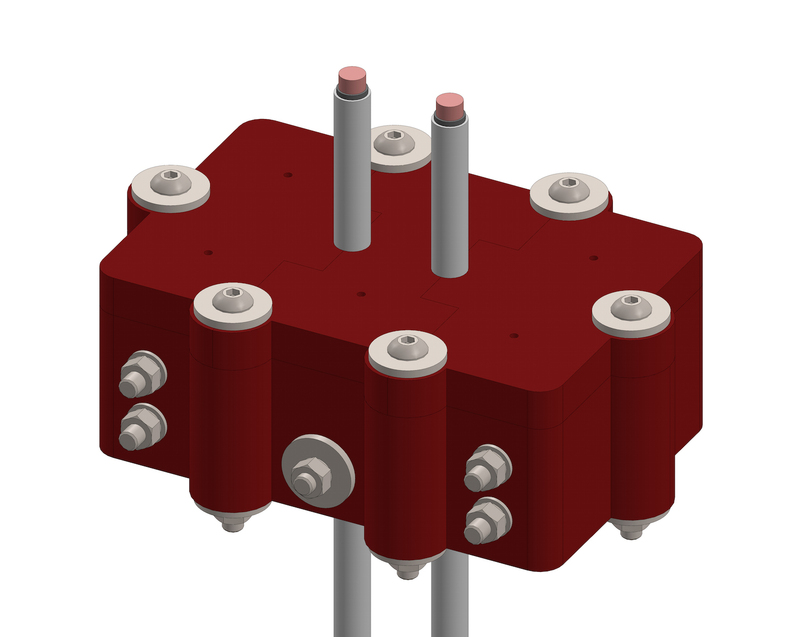 At CapeRay we have adopted an outsourcing model for manufacturing many of the components incorporated in Aceso, our dual-modality imaging system. The final assembly and testing takes place in our Cape Town factory and, interestingly, some of our outsourcing partners also manufacture components for the automotive industry. However, outsourcing is not the only strategy – one way we can save both time and development costs is by the use of an in-house 3D printer. 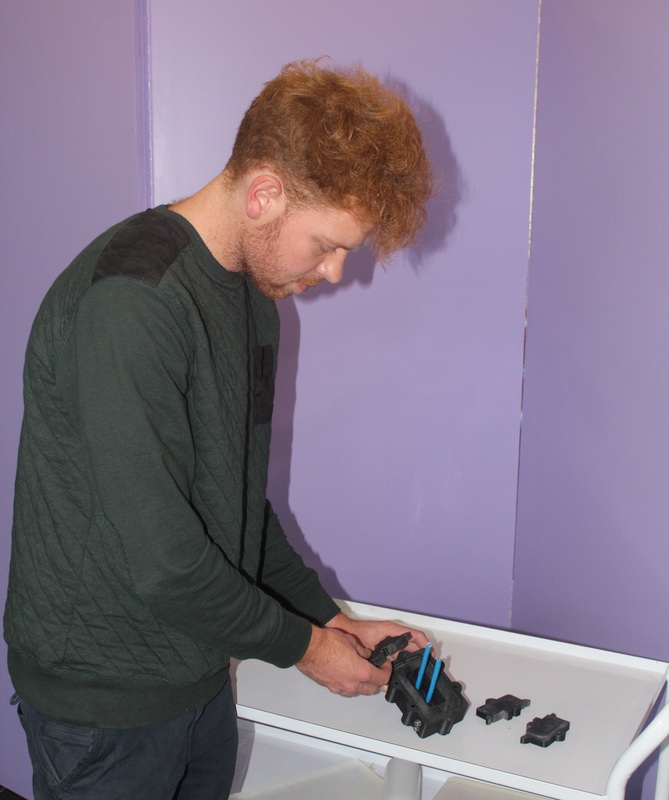 Jono Makepeace (above right), an engineering intern who has worked for us for the past year, has recently designed and printed a four-piece plastic mould that he will use to fabricate a polyurethane gland to accommodate the cables of our custom ultrasound transducer (see left). He’s learning to embrace kaizen and muda ! The End of Paywalled Journals? To Scatter or Not to Scatter? AI, AI, It's Off to Work We Fly! Does Old Data Undermine Screening? I'll See You in Court! To Patent or Not to Patent? That is the Question! Does Sunlight Protect Us from Cancer? The Future of Breast Screening? Should We Abandon Peer Review? Is the FDA Too Slow? How Old is Breast Cancer? A Mastectomy – Just to be Safe? What is it about Boston? I Guarantee this Device Won’t Fail! To Treat or Not to Treat? What is Triple-Negative Breast Cancer? Can Exercise Lower Breast Cancer Risk? A Smart Bra to Detect Breast Cancer? Thermal Imaging: a Replacement for Mammography? Is MRI Ready to Replace X-rays? Is CAD Just Another Fad? Sensitivity and Specificity: At What Cost? A Tablet? Just What the Doctor Ordered! For She's a Jolly Good Fellow! How Do Investors Value a Business? The Western Cape - A Hotbed of Medical Device Development! To Screen or Not to Screen? That is the Question!